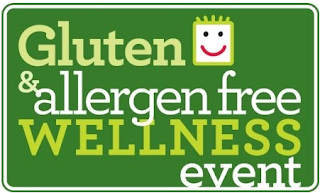 Save the Date: Gluten-Free Allergy Free Expo in Raleigh/Durham! One of the benefits of writing about fresh, local, gluten-free food for my friends and family is that I often get a heads up about awesome food-related events happening in the area. One such event coming up just around the corner is the GFAF Expo in Raleigh/Durham. I have a few gluten-free expos under my belt and every year they just seem to get bigger and better. This event promises to be amazing. If you see my little ones sporting new t-shirts proclaiming, “Gluten Makes Me Sick,” you will know where we picked them up… Hope to see you in Durham on August 17th! Great write up! Looking forward to seeing you!!!! This was such a fun event! And a great blogger dinner the night before. Thanks for all the work you did to set this up! wonderful blog post!! I thoroughly enjoyed reading it. Keep up the good work.